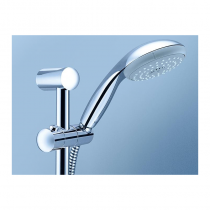 Buy Building Supplies, Tools and Hardware Online | McMahons GROHE BauEdge Single-lever kitchen sink mixer 1/2"
GROHE BauEdge Single-lever kitchen sink mixer 1/2"
GROHE BauEdge single-lever kitchen tap full flexibility with a 360 degree swivel range and high spout for user comfort. Swivel range 360 degrees; extra smooth movement in all directions for easy handling. Easy to clean thanks to the GROHE StarLight chrome coating. 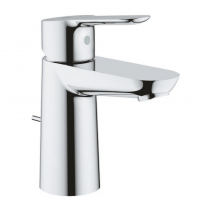 With its flexible swivel spout, this tap provides maximum comfort at minimal effort.